A lunch payment envelope is attached to the monthly menu; please send your payment (check or cash) to school with your student. 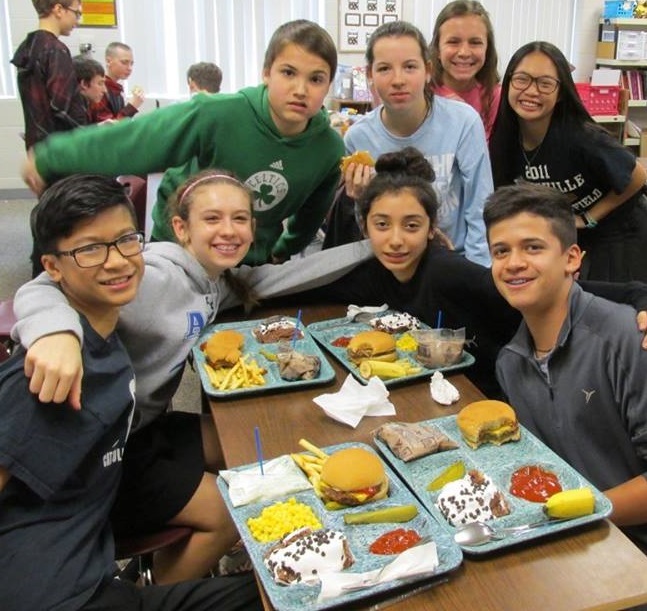 * 7th and 8th Graders may have the option to purchase ‘seconds’ of the main course menu item. Seconds are not offered every day, and when available are limited. If available, the price for an additional serving of the main item is $1.00. We may also offer smaller portions for 50¢. Parents can monitor their child’s lunch account online through www.myschoolbucks.com. You can set up an online account using the student number provided by the school office. Once you have an account, you can check lunch account balances, view student meal history, and receive low balance notifications, all free of charge. Money can be deposited to the student lunch account online (there is a fee for depositing money online).